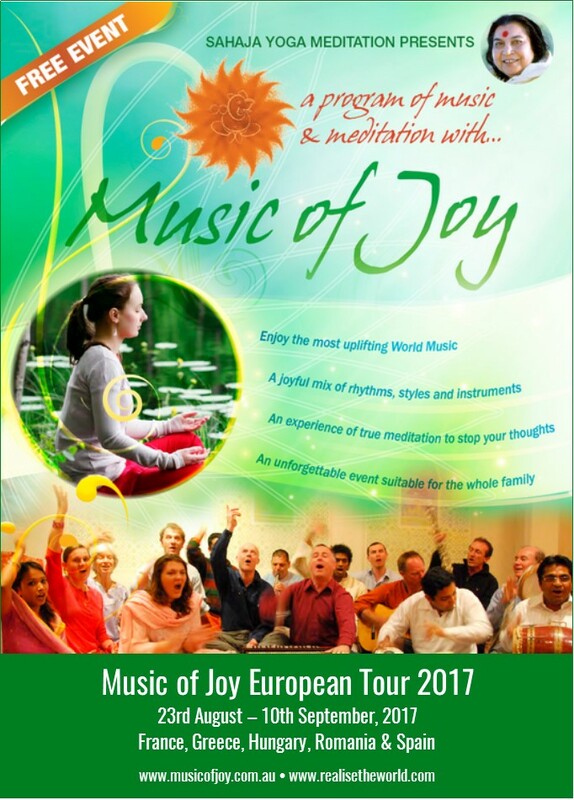 Announcement of Music of Joy European Tour 2017. | Realise the World! The Tour will integrate the pilgrimage to Cabella to worship Shri Mataji as Shri Krishna and Shri Ganesha. Yogis are welcome to attend and support the Tour but will have to arrange their own flights, transport and accommodation in the host cities. Looking forward to meeting in Cabella and in Europe this year! We ask that you please keep the Tour in your loving attention and pray for the complete success of the Tour.